Principal Investigator: Jianfu Chen, Ph.D.
Goal: To improve our understanding of genetic factors associated with NTD and provide novel insights into mechanisms underlying neural tube closure and neural tube defect (NTD). Goal: To improve our understanding of mitosis and cell cycle re-entry regulation of NPCs in the developing brain and provide novel insights into mechanisms underlying human microcephaly diseases. Goal: To understand the functions and action mechanisms of Wdr62 in normal cortical development, and how its mutations lead to microcephaly (smaller brain size). Shao Q, Liang C, Chang Q, Zhang W, Yang M, Chen JF. (2019) C9orf72 deficiency promotes motor deficitsof a C9ALS/FTD mouse model in a dose-dependent manner. Acta Neuropathologica Communications. (2019) 7:32. Herrlinger SA, Shao Q, Ma L, Brindley M, Chen JF. (2018) Establishing Mouse Models for Zika Virus-induced Neurological Disorders Using Intracerebral Injection Strategies: Embryonic, Neonatal, and Adult. J Vis Exp. 2018 Apr 26;(134). doi:10.3791/56486. PubMed PMID: 29757270; PubMed Central PMCID: PMC6035874. Dong K, Guo X, Chen W, Hsu AC, Shao Q, Chen JF, Chen SY. (2018) Mesenchyme Homeobox 1 mediates transforming growth factor-β (TGF-β)-induced smooth muscle cell differentiation from mouse mesenchymal progenitors. J Biol Chem. 2018 Jun 1;293(22):8712-8719. doi: 10.1074/jbc.RA118.002350. Epub 2018 Apr 20. PubMed PMID: 29678882; PubMed Central PMCID: PMC5986210. Wang YC, Chuang YH, Shao Q, Chen JF, Chen SY. 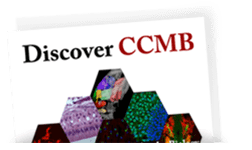 (2018) Brain cytoplasmic RNA 1 suppresses smooth muscle differentiation and vascular development in mice. J Biol Chem. 2018 Apr 13;293(15):5668-5678. doi: 10.1074/jbc.RA117.001578. Epub 2018 Feb 21. PubMed PMID: 29467228; PubMed Central PMCID: PMC5900757. Shao Q, Herrlinger S, Zhu YN, Yang M, Goodfellow F, Stice SL, Qi XP, Brindley MA, Chen JF. (2017) The African Zika virus MR-766 is more virulent and causes more severe brain damage than current Asian lineage and Dengue virus. Development. 2017 Nov 15;144(22):4114-4124. doi: 10.1242/dev.156752. Epub 2017 Oct 9. PubMed PMID: 28993398; PubMed Central PMCID: PMC5719247. Shao Q, Herrlinger S, Yang SL, Lai F, Moore JM, Brindley MA, Chen JF. (2016) Zika virus infection disrupts neurovascular development and results in postnatal microcephaly with brain damage. Development. 2016 Nov 15;143(22):4127-4136. Epub 2016 Oct 11. PubMed PMID: 27729407; PubMed Central PMCID: PMC5117220. Yang M, Liang C, Swaminathan K, Herrlinger S, Lai F, Shiekhattar R, Chen JF. (2016) A C9ORF72/SMCR8-containing complex regulates ULK1 and plays a dual role in autophagy. Sci Adv. 2016 Sep 2;2(9):e1601167. doi: 10.1126/sciadv.1601167.eCollection 2016 Sep. PubMed PMID: 27617292; PubMed Central PMCID: PMC5010369. Yang SL, Yang M, Herrlinger S, Liang C, Lai F, Chen JF. (2015) MiR-302/367 regulate neural progenitor proliferation, differentiation timing, and survival in neurulation. Dev Biol. 2015 Dec 1;408(1):140-50. doi:10.1016/j.ydbio.2015.09.020. Epub 2015 Oct 9. PubMed PMID: 26441343; PubMed Central PMCID: PMC4688151. Yang M, Yang SL, Herrlinger S, Liang C, Dzieciatkowska M, Hansen KC, Desai R, Nagy A, Niswander L, Moss EG, Chen JF. (2015) Lin28 promotes the proliferative capacity of neural progenitor cells in brain development. Development. 2015 May 1;142(9):1616-27. doi: 10.1242/dev.120543. PubMed PMID: 25922525; PubMed Central PMCID: PMC4419280. Chen JF, Zhang Y, Wilde J, Hansen KC, Lai F, Niswander L. (2014) Microcephaly disease gene Wdr62 regulates mitotic progression of embryonic neural stem cells and brain size. Nat Commun. 2014 May 30;5:3885. doi: 10.1038/ncomms4885. PubMed PMID: 24875059; PubMed Central PMCID: PMC4216695. Harmacek L, Watkins-Chow DE, Chen J, Jones KL, Pavan WJ, Salbaum JM, Niswander L. (2014) A unique missense allele of BAF155, a core BAF chromatin remodeling complex protein, causes neural tube closure defects in mice. Dev Neurobiol. 2014 May;74(5):483-97. doi: 10.1002/dneu.22142. Epub 2014 Jan 9. PubMed PMID: 24170322; PubMed Central PMCID: PMC4670623. Chen J, Lai F, Niswander L. (2012) The ubiquitin ligase mLin41 temporally promotes neural progenitor cell maintenance through FGF signaling. Genes Dev. 2012 Apr 15;26(8):803-15. doi: 10.1101/gad.187641.112. Erratum in: Genes Dev. 2012 Jun 15;26(12):1392. PubMed PMID: 22508726; PubMed Central PMCID: PMC3337455. Huang ZP, Young Seok H, Zhou B, Chen J, Chen JF, Tao Y, Pu WT, Wang DZ. (2012) CIP, a cardiac Isl1-interacting protein, represses cardiomyocyte hypertrophy. Circ Res. 2012 Mar 16;110(6):818-30. doi: 10.1161/CIRCRESAHA.111.259663. Epub 2012 Feb 16. PubMed PMID: 22343712; PubMed Central PMCID: PMC3307880. Tao Y, Neppl RL, Huang ZP, Chen J, Tang RH, Cao R, Zhang Y, Jin SW, Wang DZ. (2011) The histone methyltransferase Set7/9 promotes myoblast differentiation and myofibril assembly. J Cell Biol. 2011 Aug 22;194(4):551-65. doi: 10.1083/jcb.201010090. PubMed PMID: 21859860; PubMed Central PMCID: PMC3160588. Deng Z, Chen JF, Wang DZ. (2011) Transgenic overexpression of miR-133a in skeletal muscle. BMC Musculoskelet Disord. 2011 May 26;12:115. doi:10.1186/1471-2474-12-115. PubMed PMID: 21615921; PubMed Central PMCID:PMC3125252. Huang ZP, Chen JF, Regan JN, Maguire CT, Tang RH, Dong XR, Majesky MW, Wang DZ. (2010) Loss of microRNAs in neural crest leads to cardiovascular syndromes resembling human congenital heart defects. Arterioscler Thromb Vasc Biol. 2010 Dec;30(12):2575-86. doi: 10.1161/ATVBAHA.110.213306. Epub 2010 Sep 30. PubMed PMID: 20884876; PubMed Central PMCID: PMC2988089. Chen JF, Tao Y, Li J, Deng Z, Yan Z, Xiao X, Wang DZ. (2010) microRNA-1 and microRNA-206 regulate skeletal muscle satellite cell proliferation and differentiation by repressing Pax7. J Cell Biol. 2010 Sep 6;190(5):867-79. doi:10.1083/jcb.200911036. PubMed PMID: 20819939; PubMed Central PMCID: PMC2935565. Callis TE, Pandya K, Seok HY, Tang RH, Tatsuguchi M, Huang ZP, Chen JF, Deng Z, Gunn B, Shumate J, Willis MS, Selzman CH, Wang DZ. (2009) MicroRNA-208a is a regulator of cardiac hypertrophy and conduction in mice. J Clin Invest. 2009 Sep;119(9):2772-86. doi: 10.1172/JCI36154. Epub 2009 Aug 10. PubMed PMID:19726871; PubMed Central PMCID: PMC2735902. Chen JF, Callis TE, Wang DZ. (2009) microRNAs and muscle disorders. J Cell Sci. 2009 Jan 1;122(Pt 1):13-20. doi: 10.1242/jcs.041723. Review. PubMed PMID: 19092056; PubMed Central PMCID: PMC2714401. Chen JF, Wang S, Wu Q, Cao D, Nguyen T, Chen Y, Wang DZ. (2008) Myocardin marks the earliest cardiac gene expression and plays an important role in heart development. Anat Rec (Hoboken). 2008 Oct;291(10):1200-11. doi: 10.1002/ar.20756. PubMed PMID: 18780304; PubMed Central PMCID: PMC2694184. Callis TE, Deng Z, Chen JF, Wang DZ. (2008) Muscling through the microRNA world. Exp Biol Med (Maywood). 2008 Feb;233(2):131-8. doi: 10.3181/0709-MR-237. Review. PubMed PMID: 18222968. Chen JF, Murchison EP, Tang R, Callis TE, Tatsuguchi M, Deng Z, Rojas M, Hammond SM, Schneider MD, Selzman CH, Meissner G, Patterson C, Hannon GJ, Wang DZ. (2008) Targeted deletion of Dicer in the heart leads to dilated cardiomyopathy and heart failure. Proc Natl Acad Sci U S A. 2008 Feb 12;105(6):2111-6. doi:10.1073/pnas.0710228105. Epub 2008 Feb 6. PubMed PMID: 18256189; PubMed Central PMCID: PMC2542870. Callis TE, Chen JF, Wang DZ. (2007) MicroRNAs in skeletal and cardiac muscle development. DNA Cell Biol. 2007 Apr;26(4):219-25. Review. PubMed PMID: 17465888. Tatsuguchi M, Seok HY, Callis TE, Thomson JM, Chen JF, Newman M, Rojas M, Hammond SM, Wang DZ. (2007) Expression of microRNAs is dynamically regulated during cardiomyocyte hypertrophy. J Mol Cell Cardiol. 2007 Jun;42(6):1137-41. Epub 2007 Apr 14. PubMed PMID: 17498736; PubMed Central PMCID: PMC1934409. Chen JF, Mandel EM, Thomson JM, Wu Q, Callis TE, Hammond SM, Conlon FL, Wang DZ. (2006) The role of microRNA-1 and microRNA-133 in skeletal muscle proliferation and differentiation. Nat Genet. 2006 Feb;38(2):228-33. Epub 2005 Dec 25. PubMed PMID:16380711; PubMed Central PMCID: PMC2538576. Shan L, Oh HS, Chen J, Guo M, Zhou J, Alfano JR, Collmer A, Jia X, Tang X. (2004) The HopPtoF locus of Pseudomonas syringae pv. tomato DC3000 encodes a type III chaperone and a cognate effector. Mol Plant Microbe Interact. 2004 May;17(5):447-55. PubMed PMID: 15141948.